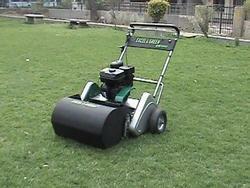 Manufacturer & Exporter of Golf Green Mower. Our product range also comprises of Tractor Mower, Chain Saw and Electric Hedge Trimmer. Our firm specializes in offering an excellent range of Golf Green Mower that is suitable for Golf Green Cutting , Cricket grounds, polo grounds & Bowling Greens. To maintain industry defined quality standards, the entire range is manufactured using quality proven raw-material and cutting-edge technology. It is a golf mower with 22 inches of cutting width 1.5mm to 35mm cutting height, self propelled type with removable wheels to carry from one place to another. Also, the entire range is tested properly by our quality experts upon different parameters of quality. In line with industry set standard, we provide this mower in various specifications as per the ever-evolving needs of our clients. 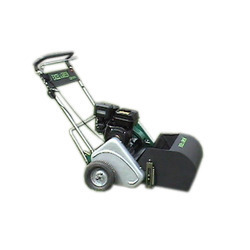 By keeping track with the market development, we are offering optimum quality Grass Mower. Our offered machine is extensively appreciated by our prestigious clients for its precise design and durability. This machine can also be availed in different sizes, designs and other related specifications. Our provided machine is manufactured by a team of our adept professionals utilizing quality approved raw material and advanced technology. We offer this machine at market leading rates.